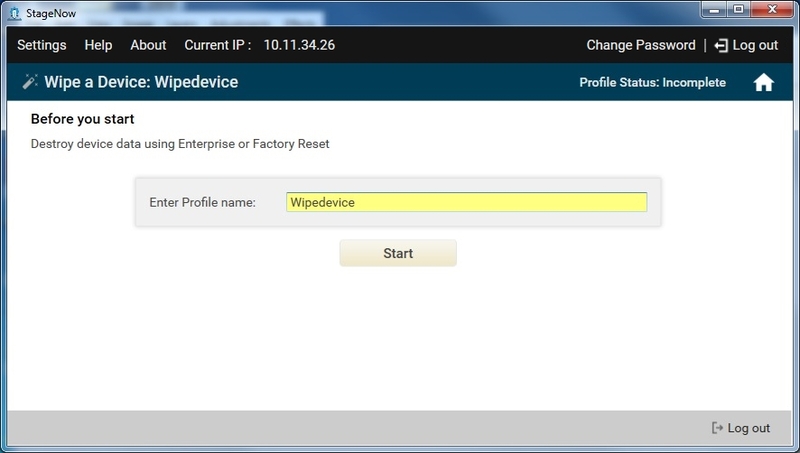 Select the Wipe a Device Wizard, and select Create. 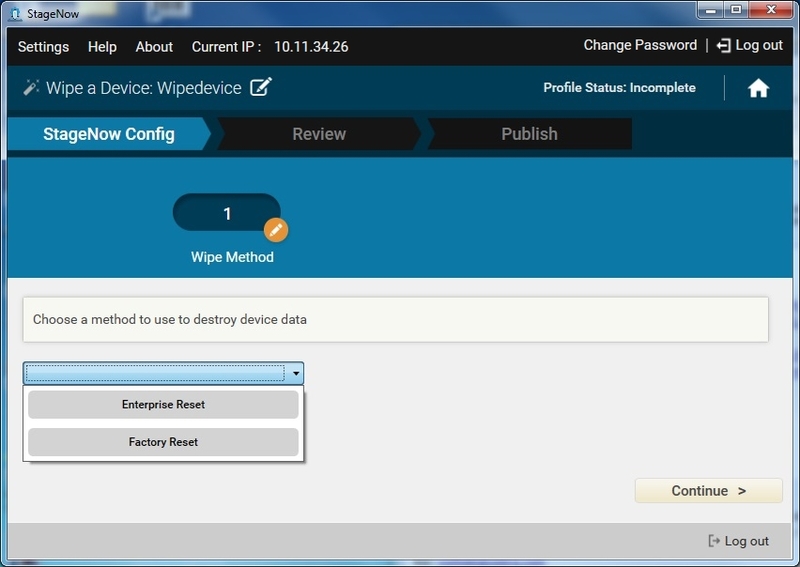 Choose a method to destroy device data, and then select Continue. 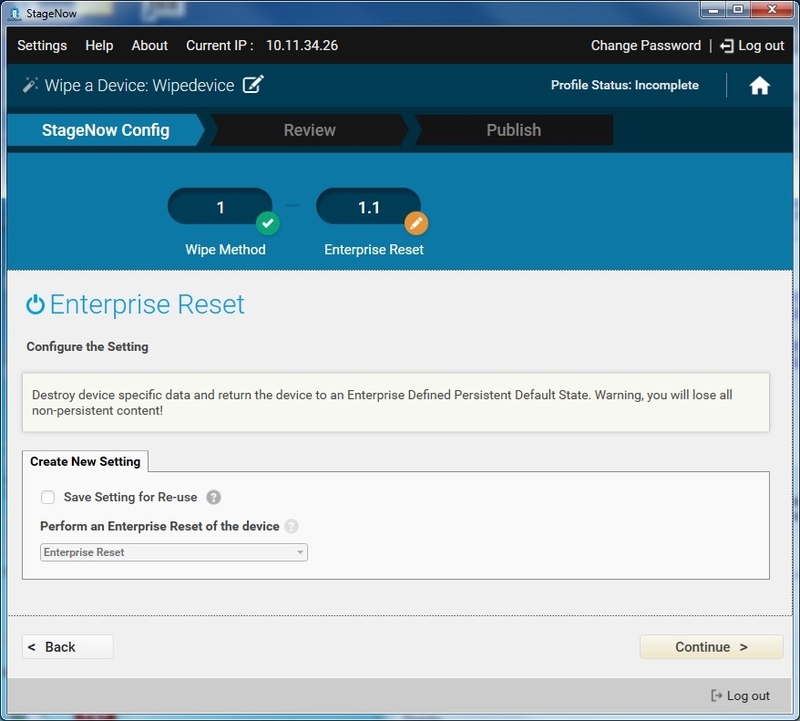 Select Enterprise Reset to destroy device-specific data and return the device to its persistent default state. All non-persistent data is discarded. Select Factory Reset to destroy all data and return the device to its factory defaults. No user content persists. Select the required information, and then select Continue. See Setting Types / Power for more information.